Women selling off old clothes, east London poverty 1972. 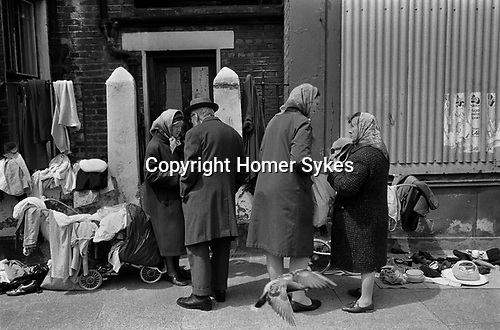 Unemployed woman sell old clothes and bric-a-brac from prams to supplement their meagre living. One wears her headscarf over her hat to keep out the cold.